The Spanish senate is today expected to approve the application of Article 155 and suspend Catalan autonomy. Catalan President Carles Puigdemont, turned down an invitation to debate the article in Madrid and will instead spend today formulating a response in Barcelona’s parliament. If Catalonia formally declares independence, Spain’s chief prosecutor has warned that Puigdemont and any legislator who votes in favour will face 30 years in jail. 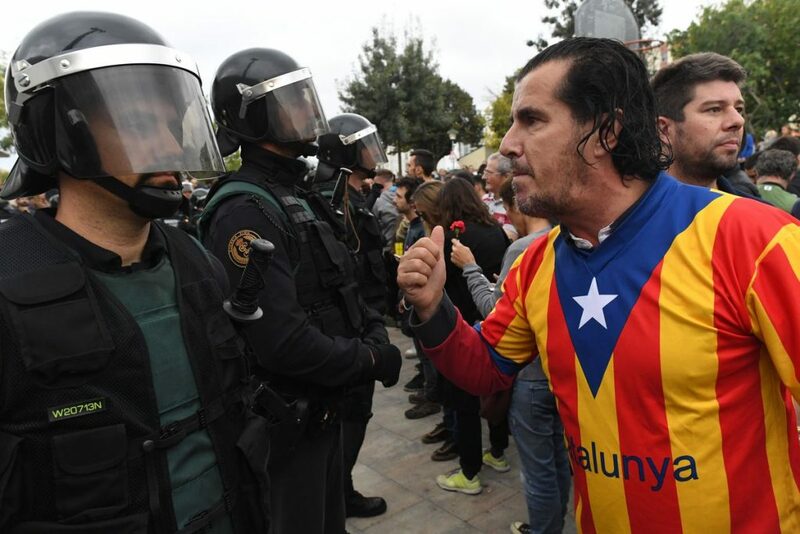 Regional elections had been seen as a way to stall the provisions of Article 155, but Prime Minister Mariano Rajoy seems intent on bringing the crisis to a head, declaring it “the only option”. With little room left to manoeuvre snap elections could strengthen Puigdemont’s mandate for independence or allow him a dignified exit. Rajoy’s cabinet is expected to convene immediately following the vote and begin implementation of the article. If implemented, the intervention package is not likely to end Catalan autonomy, but it will remove Puigdemont and those responsible for the independence referendum, with fresh elections expected within 6 months. Delve Deeper: The Catalan independence vote: statehood or autonomy?